A recent decision by the Virginia Supreme Court, Kocher v. Campbell, 282 Va 113 (2011), has significant implications for personal injury claims. In that case, the plaintiff was injured in a car accident. Approximately a year and a half after the car accident, and before filing a personal injury lawsuit, the plaintiff filed a Chapter 7 bankruptcy petition. The bankruptcy petition did not list the personal injury claim as an asset. The plaintiff received a discharge in bankruptcy. After receiving her discharge, and shortly before the two year statute of limitations on her personal injury claim expired, the plaintiff filed a personal injury lawsuit. That lawsuit was later nonsuited (dismissed at the request of the plaintiff). After her nonsuit, and as allowed by the nonsuit statute, plaintiff re-filed a personal injury claim against the defendant. In response to the personal injury suit, the defendant filed a motion for summary judgment. The motion for summary judgment asserted that the plaintiff lacked “standing” to file a personal injury claim, arguing that when the plaintiff filed a bankruptcy petition she transferred all her assets – including the personal injury claim – to the bankruptcy trustee. The defendant essentially argued that after the plaintiff filed bankruptcy, by law the bankruptcy trustee “owned” all of the bankrupt’s assets, including the personal injury claim. Therefore, the bankrupt plaintiff or her attorney had no right or “standing” to file a lawsuit for the personal injury claim that now belonged to someone else. In response to the defendant’s motion for summary judgment, the plaintiff asked the bankruptcy court to reopen her bankruptcy case and enter an order exempting the personal injury claim from the bankruptcy case. The bankruptcy court granted this motion and exempted the personal injury claim, which occurred approximately five years after the plaintiff’s car accident. Exempting the personal injury claim from the bankruptcy claim had the effect of transferring “ownership” of that claim back to the plaintiff. The Virginia Supreme Court took up the question of whether the plaintiff had standing to file her personal injury claim. In analyzing the facts, the Virginia Supreme Court held that during the time from when the plaintiff filed bankruptcy about one and a half years after her car accident until the time that the bankruptcy court exempted the personal injury claim about five years after the car accident, the personal injury claim “belonged” to the bankruptcy trustee. As a result, while the trustee could have filed the personal injury claim on the plaintiff’s behalf, the plaintiff lacked any right or “standing” to file the claim. The lawsuits that the plaintiff filed were held to be “legal nullities” that did nothing to prevent the expiration of the two year statute of limitations governing the plaintiff’s personal injury claim. Because no lawsuit was filed by a party with legal standing during the two years following the car accident, the Virginia Supreme Court dismissed the plaintiff’s case. The Court’s decision meant that the plaintiff was time-barred from pursuing her claim against the defendant, and could not recover any compensation for her injuries from the defendant (or the defendant’s insurance company). In light of this decision it is critically important that people with personal injury claims who have filed or are contemplating filing bankruptcy IMMEDIATELY alert both the lawyer handling their personal injury claim and their bankruptcy lawyer. With some planning in advance and coordination between the client and the two lawyers, the harsh result of Kocher can often be avoided. About the Author: Dave, a car accident lawyer in Richmond VA, has over 16 years of experience handling personal injury cases both on the defense and plaintiffs side. 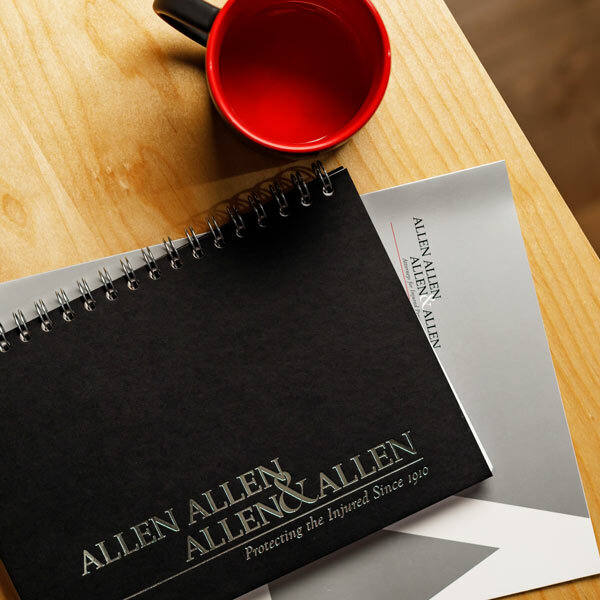 He has been with Allen & Allen since 1996 representing victims injured through no fault of their own. He is experienced in handling accident cases ranging from motorcycle accidents to car accidents to premises liability. For the full text of the actual case opinion, see http://www.courts.state.va.us/opinions/opnscvwp/1100399.pdf. Generally all assets must be listed in a Petition for bankruptcy. See article “Debtors Must List All Property Wherever Situated on the Bankruptcy Schedules of Assets”, and related articles, at http://www.bankruptcylawnetwork.com/debtors-must-list-all-property-wherever-situated-on-the-bankruptcy-schedules-of-assets/. The “nonsuit statute” generally allows a plaintiff (person filing a civil lawsuit) in Virginia to drop or dismiss the case one time for any reason, and to re-file it within 6 months. There are, however, exceptions and the case must be dismissed pursuant to a nonsuit order and not dismissed with prejudice. Consult a lawyer before seeking to nonsuit a case. For the text of the statute, see Va. Code §8.01-380 at http://leg1.state.va.us/cgi-bin/legp504.exe?000+cod+8.01-380; see also Va. Code §8.01-229.E.3, at http://leg1.state.va.us/cgi-bin/legp504.exe?000+cod+8.01-229.